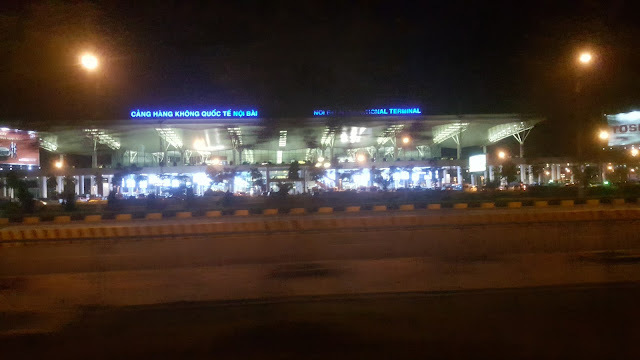 Rajeev's World: Chào Bạn Vietnam! And we are back on the road, for the Chuseok holidays. This time we are headed to Hanoi and Siem Reap. 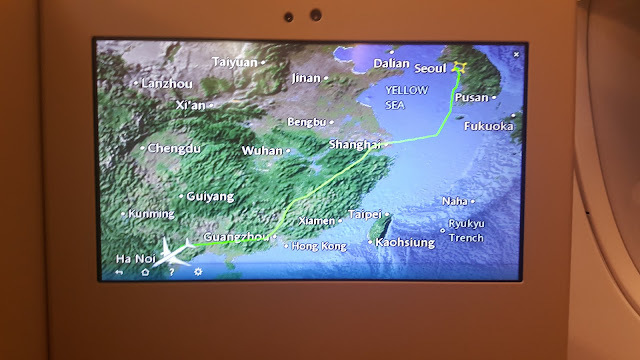 And this is going to be an exciting trip for many, many reasons. 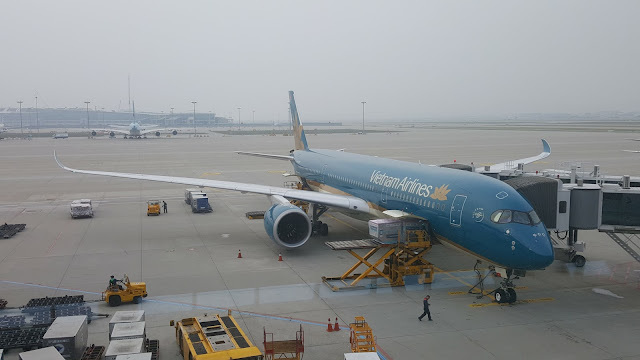 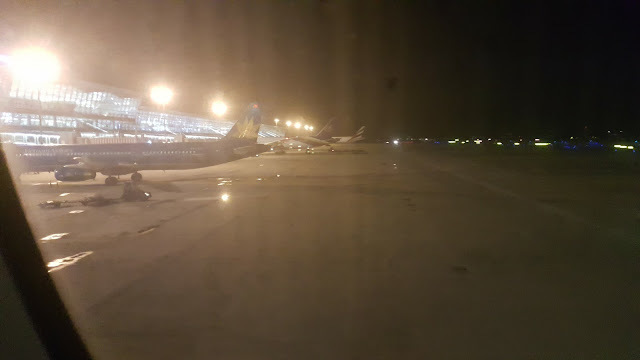 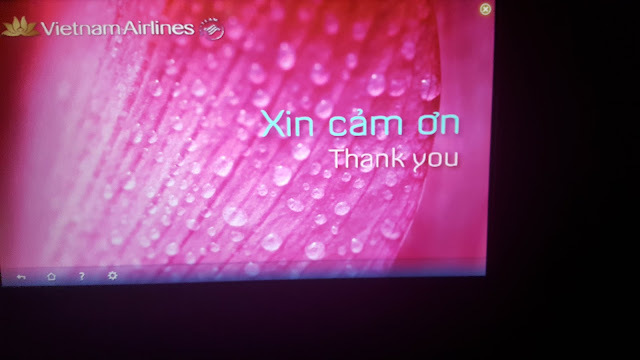 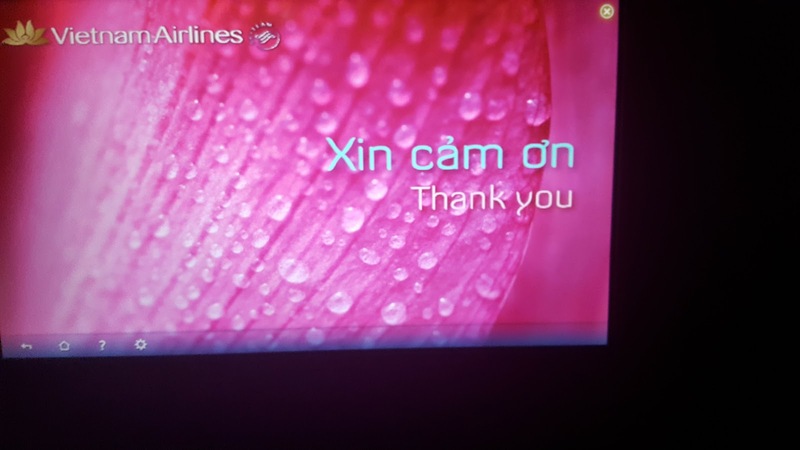 The first, we are flying Vietnam Airlines (maiden flight on board this carrier - ✓), we are flying a new aircraft, the Airbus A350 XWB (✓✓) and surprise, surprise, we just got upgraded to business class(✓✓✓) - what more could we ask for? 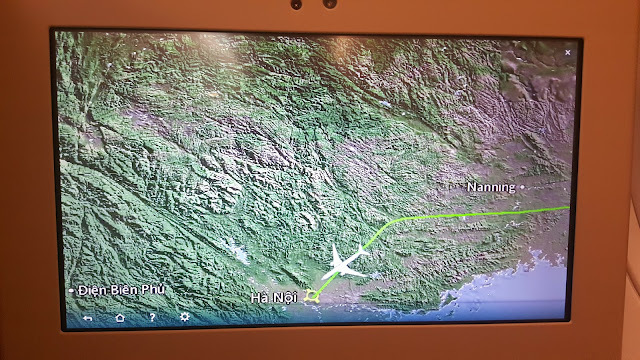 Now coming to the trip itself, we land in Hanoi this evening. 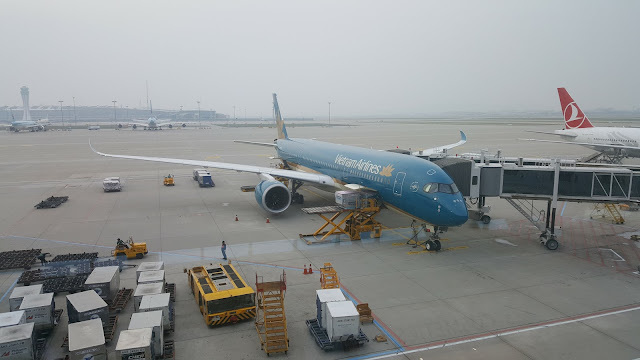 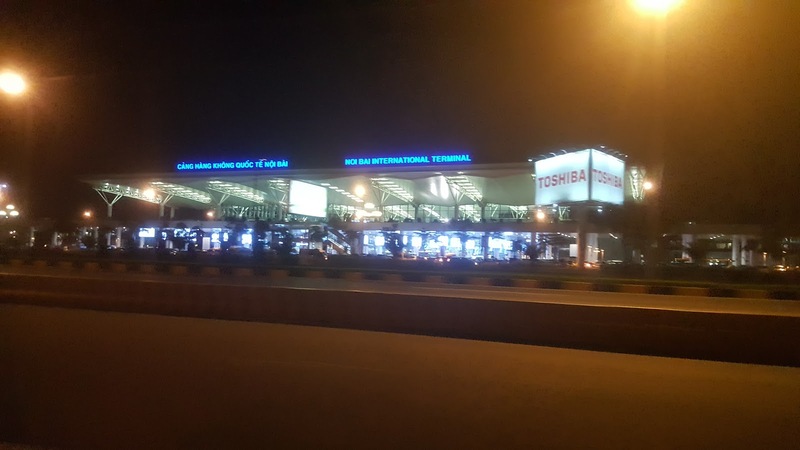 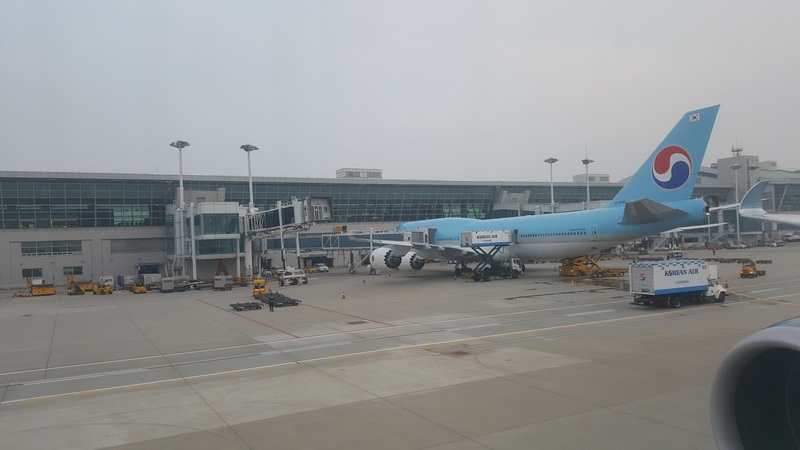 We will spend three days in Hanoi and on Wednesday, we will leave for Siem Reap via Ho Chi Minh City where we would spend four days and visit the great Hindu temple, the Angkor Wat. 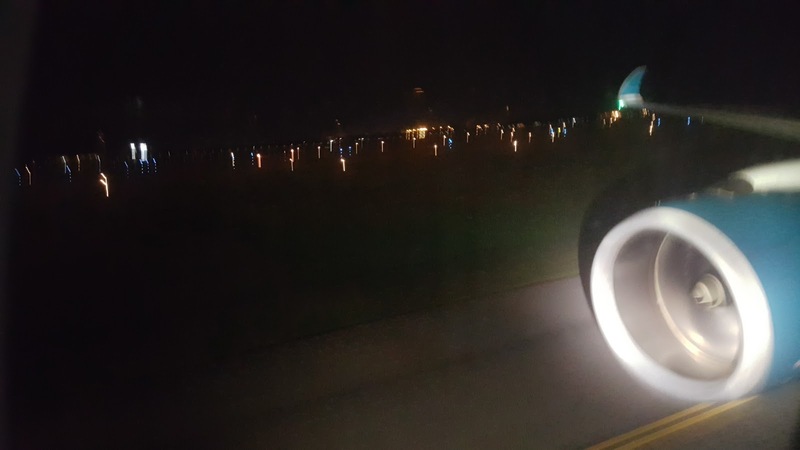 Takeoff was smooth and I hardly felt a thing. Once we were airborne, we stretched ourselves on the flatbed relaxing and getting ready for the surprises that Hanoi has to offer! 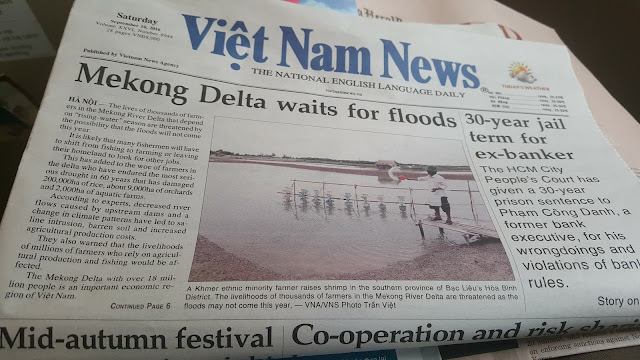 And it is time to say Chào Bạn Vietnam or Hello Vietnam!